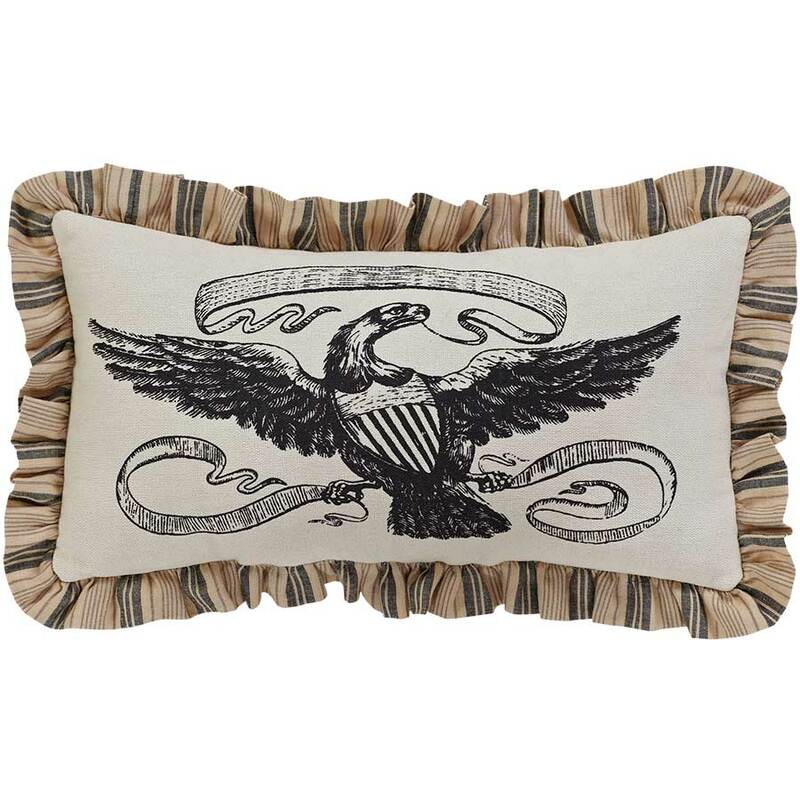 Display your patriotic spirit with this stenciled eagle pillow with a ruffled edge. 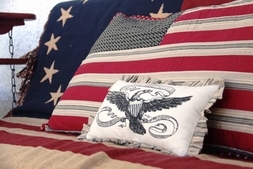 Reverses to a vintage ticking stripe. Fill pillow included.